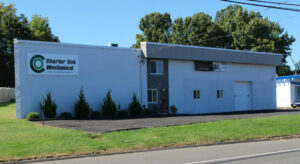 Charter Oak Mechanical is the home of the best HVAC Contractors serving Hartford County. There's a reason why we regularly get five star reviews and customers gush about our great service, friendly staff, and expertise. When you've been the premier heating, ventilation, air conditioning, refrigeration, and custom ductwork specialists in the Manchester, Glastonbury, Vernon, Newington, and all other surrounding CT towns for over 25 years, you tend to get that well known reputation! Charter Oak Mechanical can service your residential or commercial business anytime and we stand by our work with our guarantee. If you are unhappy with your Home Comfort System’s cooling or heating and we can’t fix it, we will remove the equipment we installed and refund 100% of your original investment at any time during the first year. It doesn't get any better than that! Give us a call or look around our website for more information on how our best heating contractors can help! Charter Oak Mechanical has over twenty-five years of expertise in HVAC, accredited by the Better Business Bureau. We save you money on energy efficient furnace installation, maintenance and repairs on the units you choose. Call Charter Oak Mechanical today and ask about our ductless mini-splits. (860) 432-8915.